BotF has only ever seen this brew in Melbourne bottlos. It is a shame that it isn’t available in Sydney as it is a fine drop. Originally brewed in Ballarat, it is now brewed by CUB in Southbank. Why Invalid? I think, but can’t find proof, that is the cure for all ills. Stout was so named because of its strength of flavour and alcohol. Many advertisements have attested to its restorative qualities. Give this to an invalid and all is good. At 5.2%, they’d at least forget their invalidity for a while after a couple of these. Invalid was also used for Hardys Invalid Port. Always affordable at 4.99 a bottle. Guaranteed to halve your sperm count. 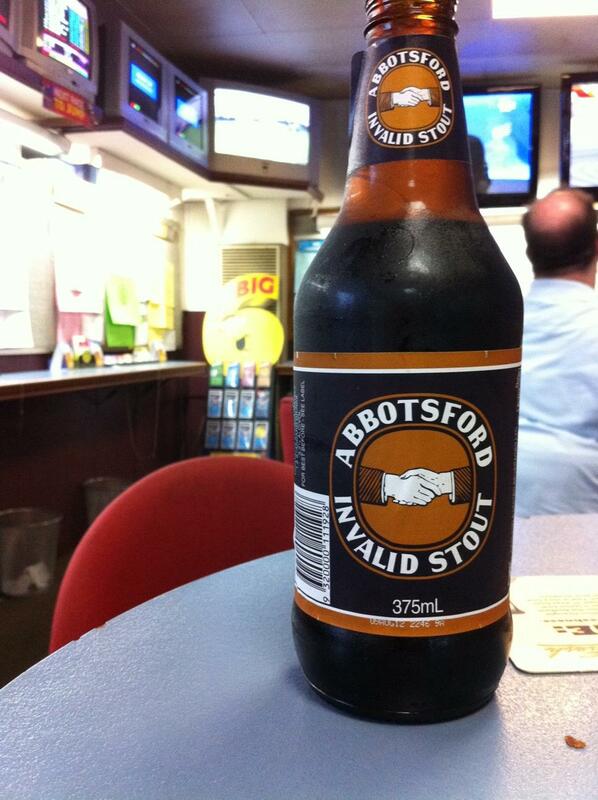 Overheard at the Coopers Arms Hotel, Newtown when a friend of BotF purchased such a bottle.